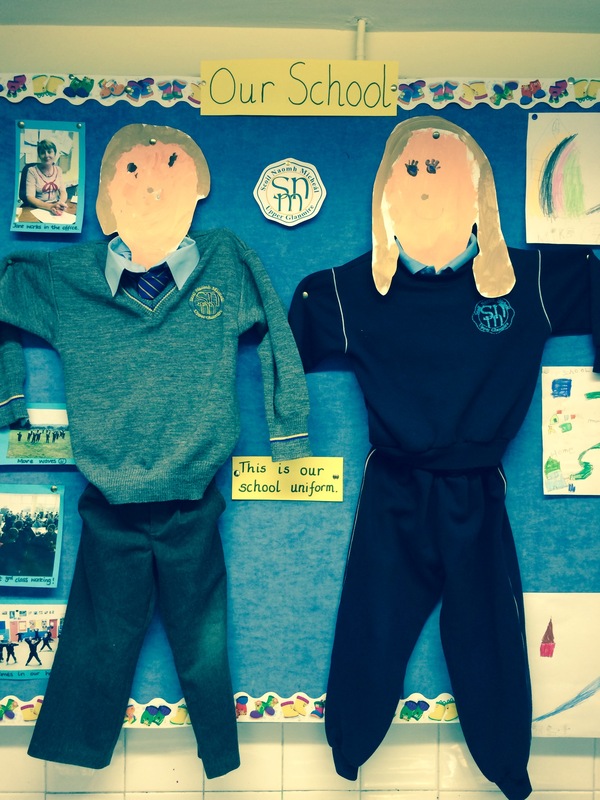 The school uniform consists of a grey trousers/pinafore, blue shirt that can be purchased from most of the chain stores Dunnes Stores/Marks & Spencer. A grey jumper with the school crest, striped tie, school tracksuit and blue polo shirt can only be purchased at McCarthy Sports Shop, Hazelwood shopping centre in Glanmire. Black shoes are worn on regular schooldays and white runners are worn on tracksuit days. Details of uniform days and tracksuit days will be circulated at the start of the school year. Parental support in ensuring that the full uniform and/or tracksuit is worn on the “correct” day is essential and thankfully very forthcoming. Tracksuit days for the 2014/15 School Year vary from time to time due to availability of resource etc. All changes will be communicated to parents in writing.